He tentatively pokes a single finger into the sand. 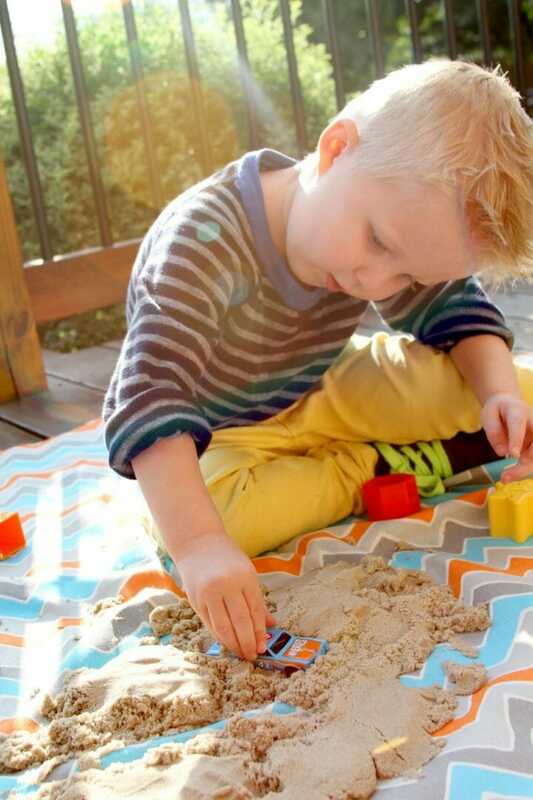 A smile spreads across his face, his little palm opens up and he eagerly buries his hand in the sand. 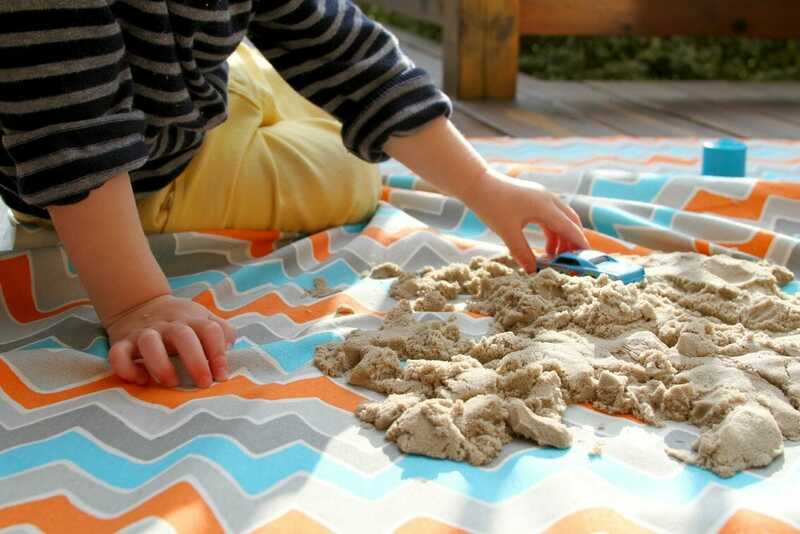 His giggle bubbles up and then before you know it both hands are at work exploring, imagining, learning, growing. I sit back observing and soaking in his joy until he enthusiastically says, “Here you go, Mommy!” and outstretches a handful of sand to me. Every experience is a learning opportunity for him. But he’s not the only one learning…this mommy is too. We are learning together as we grow. 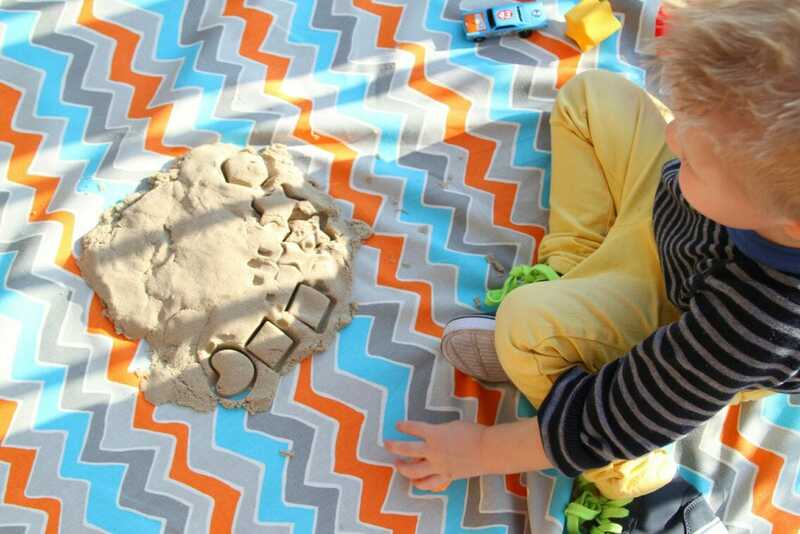 As you can tell Luke has a new favorite past time….playing with kinetic sand from UncommonGoods. 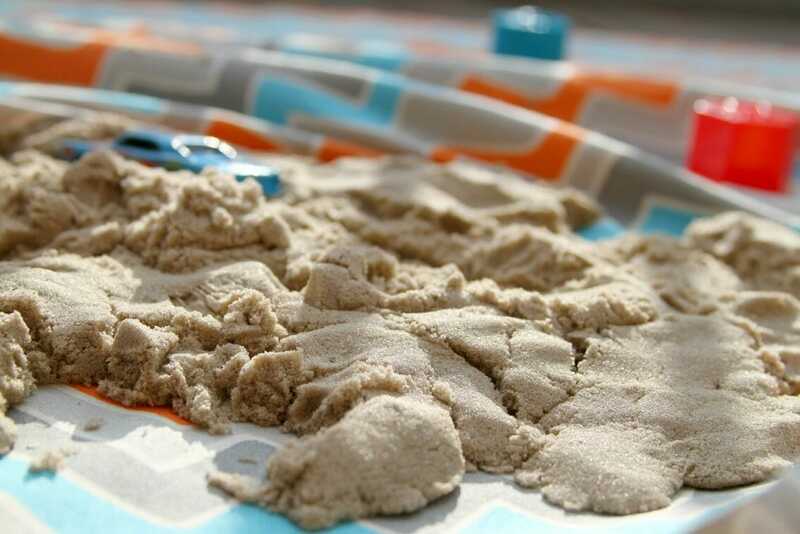 This is the kind of sand mom approves of because it doesn’t make a huge mess! It’s not like beach sand at all. It has a binding agent so that kiddos can build and mold with it. But this agent also makes it easy to clean up! No surprise, Luke’s favorite thing to do was drive cars through it! I took out a few plastic shapes that I had and we turned it in to a shapes lesson as well! I have to say I liked playing in it as well and felt like a kid again! What I also enjoyed was you just wipe your hands and it all comes off! UncommonGoods was founded in 1999 and is headquartered in Brooklyn, New York. They offer a wide variety of handcrafted gifts created in harmony with the environment and without harm to animals or people. More than half of what they sell is made by hand and are almost all created in the U.S. Approximately one-third of their collection incorporates recycled and/or upcycled materials. 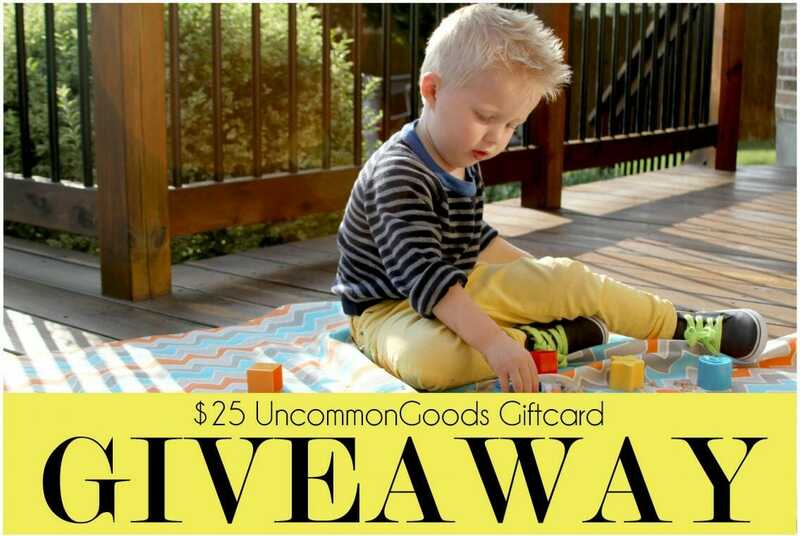 To view a variety of gifts from UncommonGoods click here. 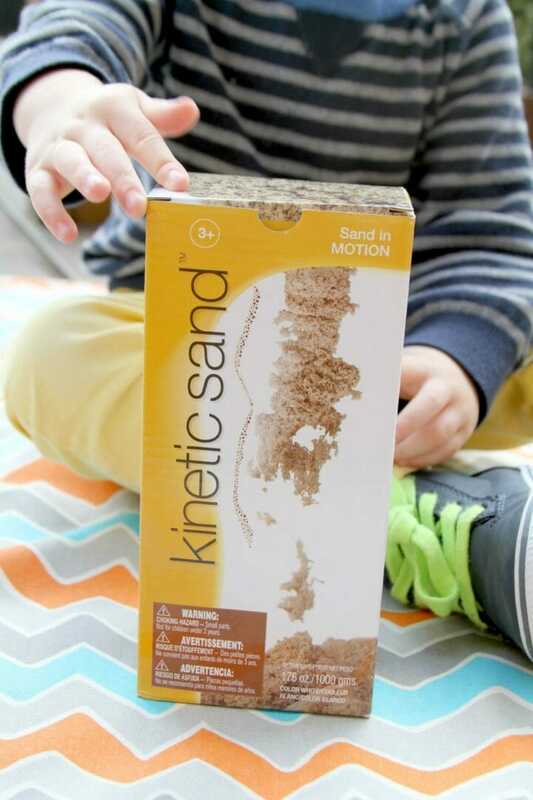 And now you can enter to win a gift card from UncommonGoods to purchase some kinetic sand for your little one or maybe a little something for you! 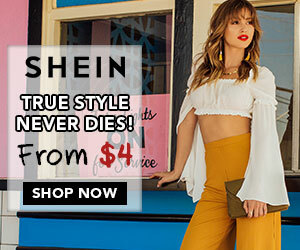 I’m always on the hunt for great products and I’ve never seen this one. 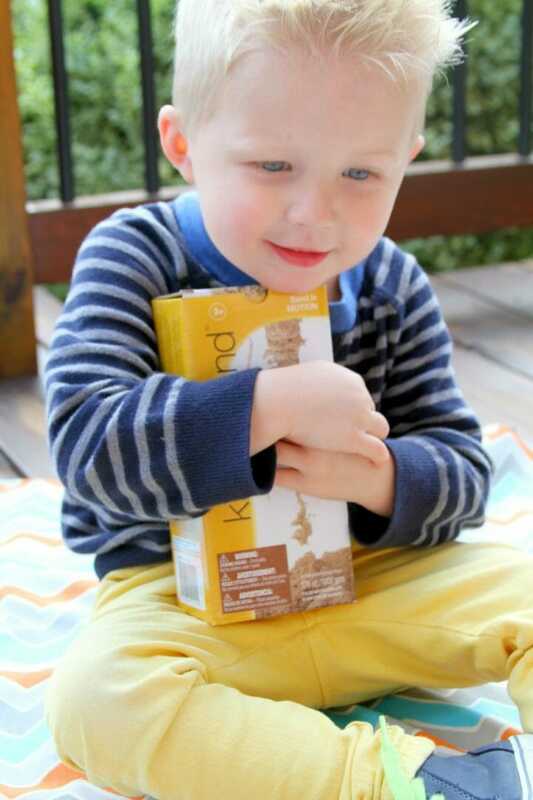 I can’t imagine kiddo not loving it (as is evidenced by your little guy). Awww….as seen through the eyes of a kid. There’s nothing like it!! How fun! I like the tactile activity with less mess.